I find Dr Linkner very pleasant and reassuring and very thorough. I saw her at her previous practice and hiked downtownto see her in the new practice. I have confidence in her advice. I find Dr Linkner very pleasant and reassuring and very thorough. I saw her at her previous practice and hiked downtown to see her in the new practice. I have confidencein her advice. Dr Linkner was referred to me by a coworker in the beauty industry 3 years ago and I’m forever thankful toher. Dr Linkner put me at ease when I first saw her for a suspicious mole that was growing quickly. It turned out to be benign after lab test and she removed it without and pain or discomfort. Her professionalism and knowledge about skin care and skin health is amazing. She’s also so personable and calming when it comes to sensitive skin issues. I’ve recommended her to anyone I know looking for a dermatologist and they’ve all have the same wonderful experience. Dr Linkner was referred to me by a coworker in the beauty industry 3 years ago and I’m forever thankful to her. Dr Linkner put me at ease when I firstsaw her for a suspicious mole that was growing quickly. It turned out to be benign after lab test and she removed it without and pain or discomfort. Her professionalism and knowledge about skin care and skin health is amazing. She’s also so personable and calming when it comes to sensitive skin issues. I’ve recommended her to anyone I know looking for a dermatologist and they’ve all have the same wonderful experience. *Please note, Spring Street Dermatology has a 24 hour cancellation policy. Patients who cancel or reschedule with less than 24 hours notice may need to pay a cancellation fee. New patients are also required to come in 15 minutes prior to their scheduled appointment time to register into our system. 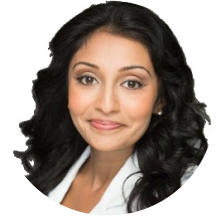 * Board certified dermatologist, Rita Linkner completed her undergraduate education at Johns Hopkins University, where she graduated with University Honors in Biology. She completed her medical degree at the University of Miami Miller School of Medicine. A native New Yorker, Dr. Linkner returned to Manhattan for to complete her internal medicine internship at St. Vincent’s Medical Center, followed by a dermatology fellowship at Icahn School of Medicine at Mount Sinai. During fellowship, she was a clinical investigator in multiple areas of dermatology including psoriasis, eczema, acne, vitiligo, skin cancer, and cosmetics. Based on her research, she has been honored with numerous awards including the Resident of Distinction Award and the Cosmetic Surgery Forum Grant Award. Dr. Linkner completed her residency in Dermatology at the Icahn School of Medicine at Mount Sinai and served as Chief Resident in her last year. A passionate writer, she has published over 70 peer-reviewed papers in various medical and surgical journals and contributed to several book chapters. In addition to being in private practice, Dr. Linkner holds the academic attending appointment of Clinical Instructor in the Department of Dermatology at the Icahn School of Medicine at Mount Sinai. Dr. Linkner enjoys practicing all aspects of dermatology including cosmetics, cutaneous surgery, and medical dermatology for all ages. Dr. Linkner is very thorough and professional. She is direct but takes time for your questions. Very professional and informative. Would highly recommend! Rita is amazing! Very knowledgeable and personal. The best doctor in NYC! Dr. Linkner is the best! Dr. Linkner made me feel comfortable during a typically uncomfortable scan. Will definitely be a repeat patient. Wonderful Doctor. Very knowledgeable and excellent bedside manors. She makes you feel very comfortable. Dr. Linknet was professional and personable. Very comfortable, attentive, knowledgeable. The entire team was great. Rita is very warm, easy going and gives it to you straight. She was incredibly thorough when I came in for a routine skin check- it's exactly what you hope for in a doctor. Someone who takes their time with theexam and in explaining what they're doing to you. Office is updated and modern and everyone was great! The are not enough stars on a page to praise Dr Linkner. Doctor Rita is awesome! Super kind and professional! Great first visit, professional, efficient and personable. I would recommend highly. She was a delight. Very professional, nice, and knowledgeable. I’m happy I finally found a dermatologist I really like! she was very knowledgeable and thorough on my skin checkup. Awesome Dr! Made me feel comfortable and not ashamed! It was my first time there I like the fact that she didn’t assume what the issue was and sent to have some more testing done to try to figure out what is causing my issue. The exam was fine, but I thought it was weird that she spent most of the time trying to sell me on products, fillers and convincing me that my freckles could be removed if they "bothered" me. This place blurs theline too much between a cosmetic practice and an actual medical practice. Steer clear of the sales pitch. Rita is friendly and thorough. She does make recommendations for procedures, such as vaccinations, that are unnecessary which makes it feel more like a sales transaction than a doctors appointment. She was absolutely fantastic! Highly recommend! Dr. Linkner is AMAZING! She's super easy to talk to and her staff is great too. She knew exactly what my skin needed and listened to me really well without wasting any time. I also felt at ease knowing that sheknew what to prescribe based off of my skin tone/complexion. Highly recommend. The office staff are friendly and professional. I waited 2 minutes to see Dr. Linkner. She is listens to your skin goals and takes the time to explain things. She is open to patient input as well so you can be involved in decision making. Dr Linkner was very thorough in her examination, and patiently answered my many questions. Dr. Linkner took the time to answer all my questions. I didn't feel rushed. She's super nice. Totally reasonable experience. She is informed and pleasant. I don't feel like she was very detail oriented when doing my annual check-up. I would not trust this doctor to be the person ensuring that I don't have skin cancer. Dr Linkner is the best derm I have ever seen. For both general health derm needs and cosmetic needs. I recently saw her for botox and had no idea injections could be so easy and painless. She is honest with herrecommendations for cosmetics and so meticulous and gentle in her technique. I really trust her recommendations and would not see anyone else. I can’t wait to return! Dr. Linkner was great! Like everyone else in this office, she was very friendly. She was also thorough, answered all my questions, and had a kind demeanor. Highly recommend! Super nice, not rushed whatsoever, spoke to me about a number of different subjects. Friendly + knowledgable. Dr. Linkner and her staff are incredible! She made me feel comfortable and very clearly talked me through my diagnosis/procedures. She is kind and knowledgeable, with a fantastic bedside manor! I appreciated Dr. Linkner's frank and direct manner. She was very efficient with conveying information and prescribing a possible solution for some ongoing acne issues, while remaining comforting and supportive. I appreciate that no time was wasted during this appointment. Dr. Rita is very excellent, professional, and nice. She listens carefully to the problem and tries to help efficiently. I highly recommend her. I'm extremely satisfied with my appointment with Dr. Linkner. I consider her to be very pleasant as well as knowledgeable in her field of expertise. I would recommend her to anyone I know in needs of her services. My appointment was good however, I'm not sure if this is a major appointment. The appointment went so well, that I booked an appointment for myself too. Very nice, really wanted to cure my acne and not just go through the list of things I have not tried. I've been dealing with acne for 10 years. Very nice and very professional. Saw me within 10 minutes.